In 1986, Dr Tippett gained a Bachelor of Science with Honours (First Class) in Geography and Geology from Victoria University, Wellington. In 1988, he started PhD research at the Department of Earth Sciences, Waikato University, and in 1992 after 4 years of part-time study was awarded the PhD. 1999 – Present Director of Earth Research, offering research services in earth science, geology, environmental science, and geography. 1997 University of Salford. Promotion within Lecturer B range. 1996 University of Salford. Promotion from Lecturer A to Lecturer B. 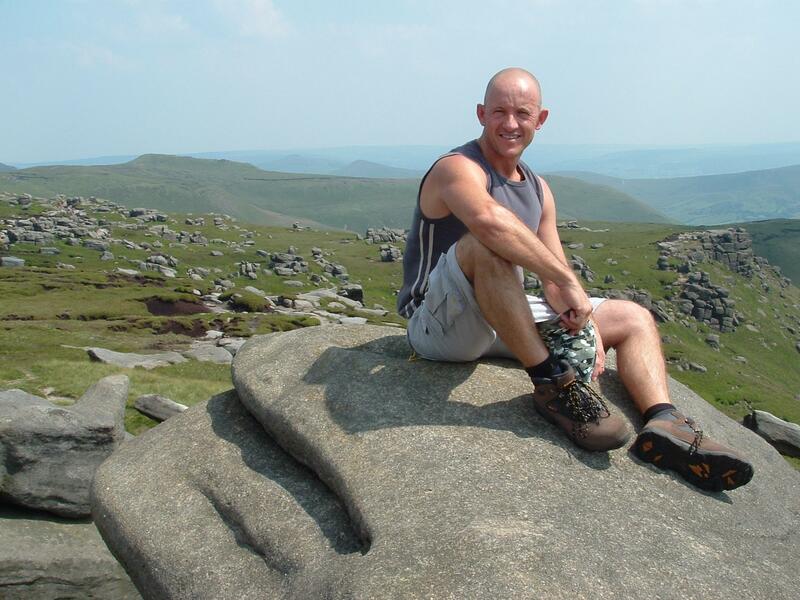 1993 – 1998 Lecturer in Physical Geography, Department of Geography, University of Salford. 1988 – 1992 Assistant Lecturer, Department of Earth Sciences, University of Waikato. 1987 Tutor, Department of Geography, University of New England. 1995, Tippett, J.M. and P.J.J. Kamp “Quantitative relationships between uplift and relief parameters in the Southern Alps, New Zealand, as determined by fission track analysis”, Earth Surface Processes and Landforms, 20/2, 153-176. 1995, Tippett, J.M. and P.J.J. Kamp “Geomorphic evolution of the Southern Alps, New Zealand”, Earth Surface Processes and Landforms, 20/2, 177-192. 1993, Kamp, P.J.J. and J.M. Tippett “Dynamics of Pacific plate crust in the South Island (New Zealand) zone of oblique continent-continent convergence”, Journal of Geophysical Research, 98, B9, 16105-16118. 1993, Tippett, J.M. and P.J.J. Kamp “Fission track analysis of the late Cenozoic vertical kinematics of continental Pacific crust, South Island, New Zealand” Journal of Geophysical Research, 98, B9, 16119-16148. 1993, Tippett, J.M. and P.J.J. Kamp “The role of faulting in rock uplift in the Southern Alps, New Zealand”,New Zealand Journal of Geology and Geophysics, 36, 497-504. 1992, Kamp, P.J.J., P.F. Green and J.M. Tippett “Tectonic architecture of the mountain front – foreland basin transition, South Island, New Zealand, based on fission track analysis”, Tectonics, 11/1, 98-113. 1992, Kamp, P.J.J. and J.M. Tippett “Fission track analysis reveals tectonic architecture and dynamics of the South Island collision zone (New Zealand)”, Proceedings 7th International Workshop on Fission Track Thermochronology, Philadelphia. 1990, Crozier, M.J., E.E. Vaughan and J.M. Tippett “Relative instability of colluvium-filled bedrock depressions”, Earth Surface Processes and Landforms, 15, 329-339. Dr Tippett has taught aspects of earth sciences at university level during a 10-year career in Australia, New Zealand and the UK, including the following topics and sub-topics: environmental systems; climate-atmosphere system; climatic change; quaternary studies; geomorphology; erosion processes; large-scale landforms; mountain environments; hydrology; landslides; hazards; global tectonics; geophysical methods and structure; petrology; sedimentology; soils; geological structure; geographical and geological data and information; research methods; data analysis and statistics. He has led fieldtrips in Australia (1987), New Zealand (1991, 1992), Denmark (1994), England (1993, 1995, 1996, 1998), and southern Spain (1995, 1996, 1998). At the University of Salford (1993-1998) Dr Tippett supervised over 50 dissertation and thesis students on a variety of earth science topics. For three years running (1995-6, 1996-7, 1997-8) he supervised the top dissertation student of the year.